We recently referenced the book of Leviticus and its theme of holiness here. Chapter 11 lists the dietary restrictions which Israel was to follow. The basic rule of thumb was this: an animal must have a divided hoof and chew the cud; both were required. 3 Whatever parts the hoof and is cloven-footed and chews the cud, among the animals, you may eat. 4 Nevertheless, among those that chew the cud or part the hoof, you shall not eat these: The camel, because it chews the cud but does not part the hoof, is unclean to you. 5 And the rock badger, because it chews the cud but does not part the hoof, is unclean to you (ESV). Two examples of animals which met one requirement, but not both, were the camel and the rock badger. 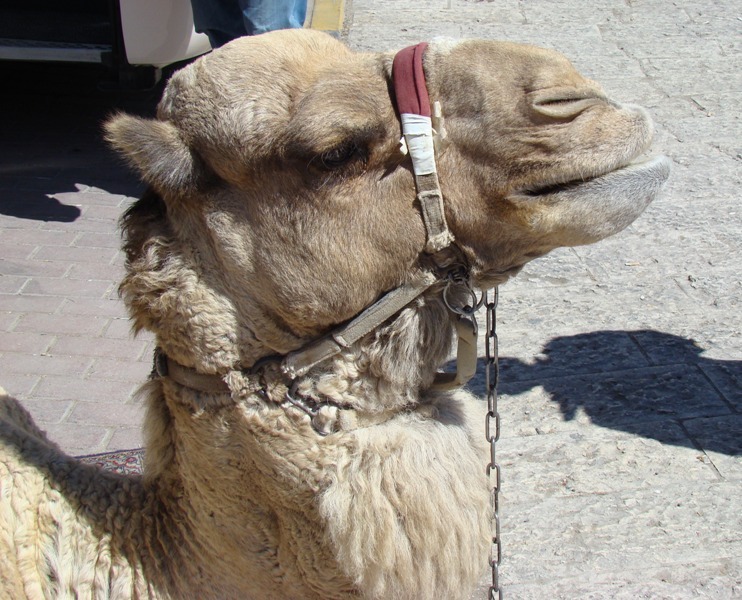 Camel, forbidden in Israel's diet. Photo by Leon Mauldin. This camel which I photographed in Bethany earlier this year would have been forbidden as food under Mosaic law because though it chews the cud it does not have a divided hoof. The rock badger was also forbidden. Rock Badgers at Ein Gedi. Photo by Leon Mauldin. 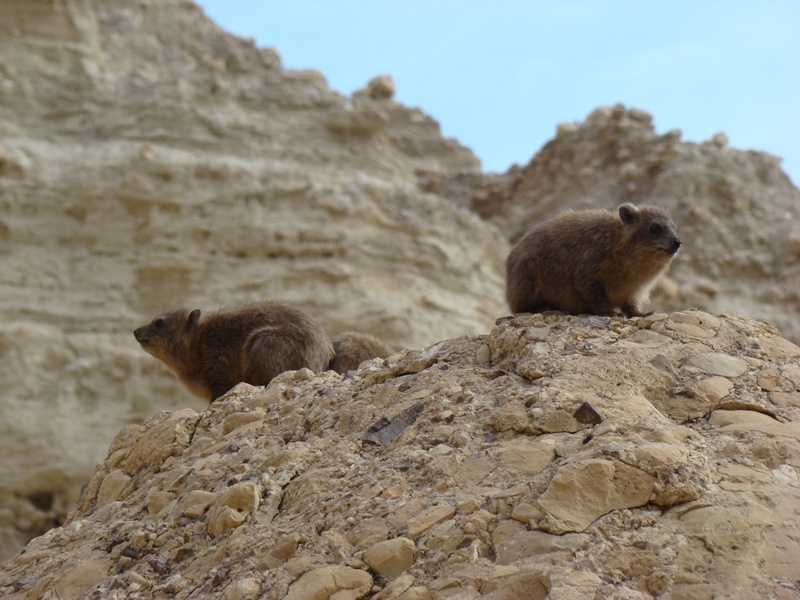 These rock badgers were at Ein Gedi, where such are commonly seen. Again, such was forbidden in ancient Israel’s diet. Like the camel, it chews the cud, but does not have a parted hoof. On the other hand, the pig has the parted hoof, but does not chew the cud, so it was unclean also (Lev. 11:7). It occurs to me that I have not photographed any pigs in Israel. 1. God employed such means as these dietary restrictions to mold and shape a special people for His own possession. Such were not the end but the means to an end. Do you not see that whatever goes into a person from outside cannot defile him, since it enters not his heart but his stomach, and is expelled?” ( Thus he declared all foods clean.) (Mark 7:18-19, ESV). This entry was posted on Monday, January 2nd, 2012 at 11:48 PM and is filed under Bible History and Geography, Bible Study, Israel, Old Testament, Travel, Uncategorized. You can follow any responses to this entry through the RSS 2.0 feed. You can leave a response, or trackback from your own site. Thanks brother Leon. I’m going to use the picture of the Rock Badgers on our question night. One of our kid’s wants to know what a “coney” is.